Tow up to 1 tonne on 10 degree slopes/ramps. Tow up to 500 kg tow on a 14 degree incline. The all new Tug Incliner pedestrian operated electric tug has been designed to tow on slopes or ramps. It is able to tow up to 1 tonne on a 10 degree ramp, up to 500 kg up a 14 degree incline with ease. 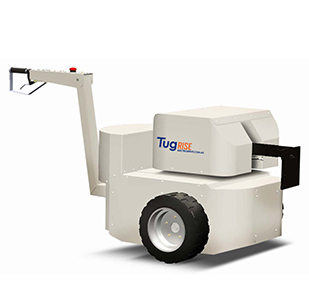 As with all the electric tugs in our range, the Tug Incliner is designed to improve safety and efficiency, whilst reducing the risk of accidents that can occur when manually moving very heavy loads. 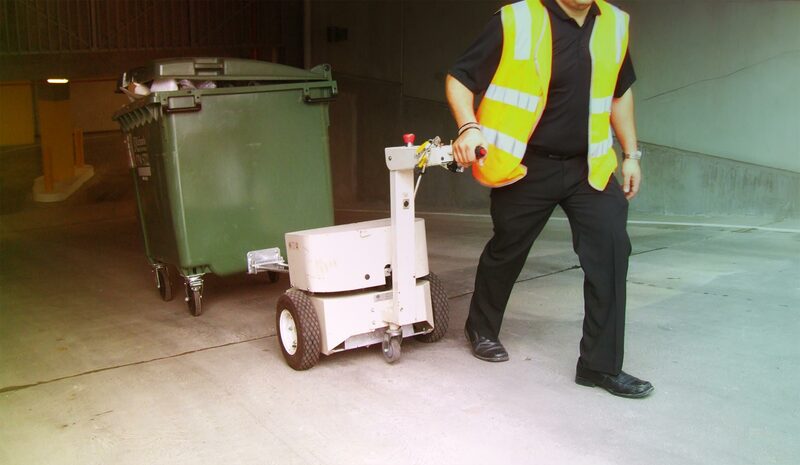 Tow bins or wheeled loads weighing up to 1 tonne safely and efficiently up and down ramps. Quiet, smooth operation with zero emissions. Simple to use, no driver's licence required. Training and servicing programs available. Moving heavy bins and trolleys on sloped driveways. Moving heavy bins and trolleys around high rise building and apartment basements. Moving heavy bins and trolleys around caravan parks and other outdoor areas. See how a Tug Incliner can help keep you and your staff safe in your workplace.